Besenzoni is in a growth momentum, so we could expect something during Seatec. 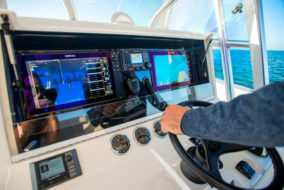 At the Italian show (Sea Technology & Design) they launched three new products. 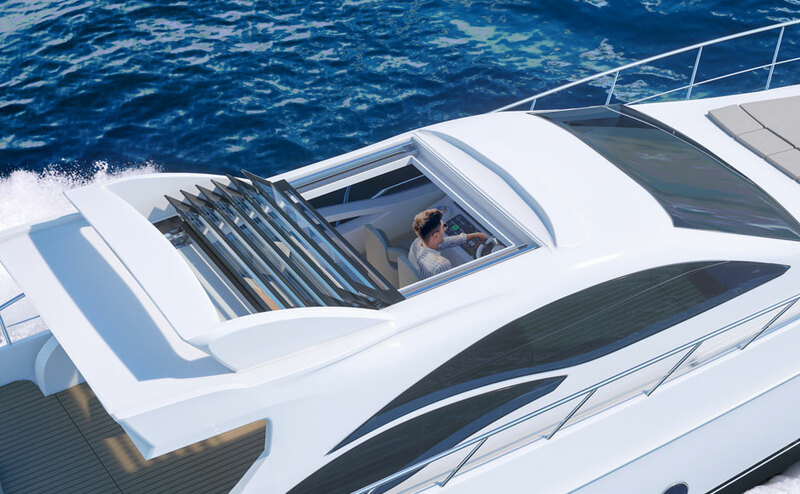 Besenzoni aims to expand their presence on all markets, through a strategy that supports the constant development of new products and customized solutions. The latest confirmation has come during the 2019 edition of Seatec, the Italian exhibition for naval components and technology suppliers. 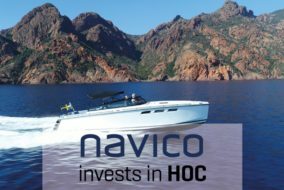 At the show in Tuscany they introduced a range of products designed to fit to all categories of yachts and superyachts. First of the novelties, a telescopic gangway with automated movements, which combines the functions of gangway and crane for lifting tenders. 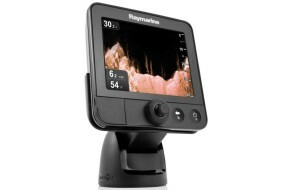 It is a very versatile product, designed to meet the traditional needs of different classes of boats. It’s built with light and strong structures, in particular stainless steel, available in a glossy or painted surface. Among the most important features, the new Plexiglas walkway with teak finishes. 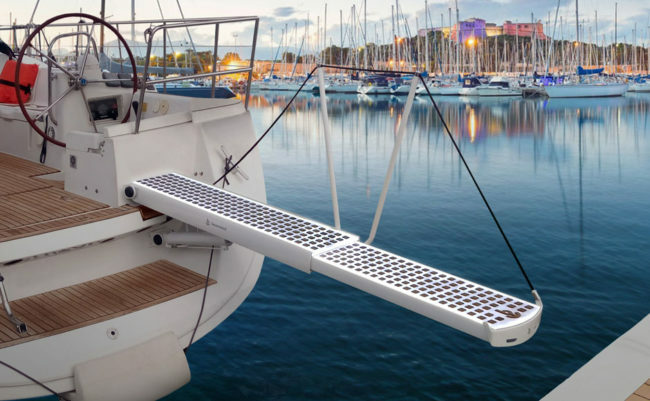 The whole series of gangways is equipped with an infrared or radio-wave remote control. 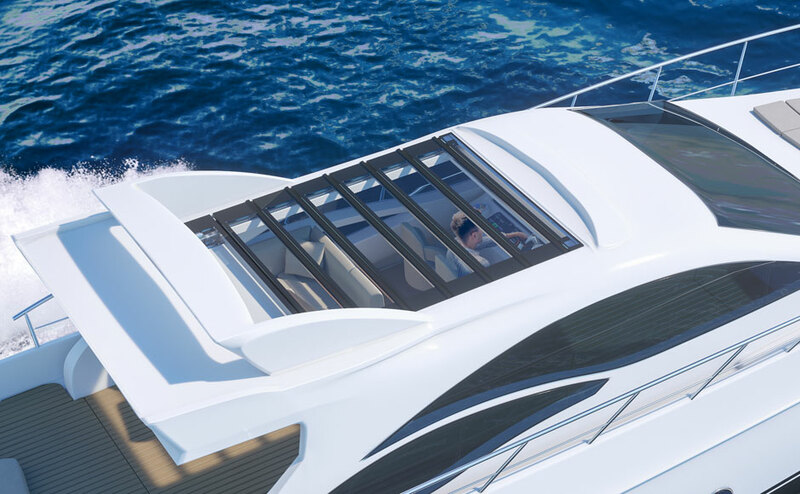 Another new product is the folding sun-roof, equipped with an innovative structure that wants to combine two advantages: the small size of a soft-top when open, and the good insulation of a hardtop when closed. Unlike the classic hardtop, the Besenzoni sun-roof does not go beyond its own perimeter thanks to the peculiar folding mechanism. 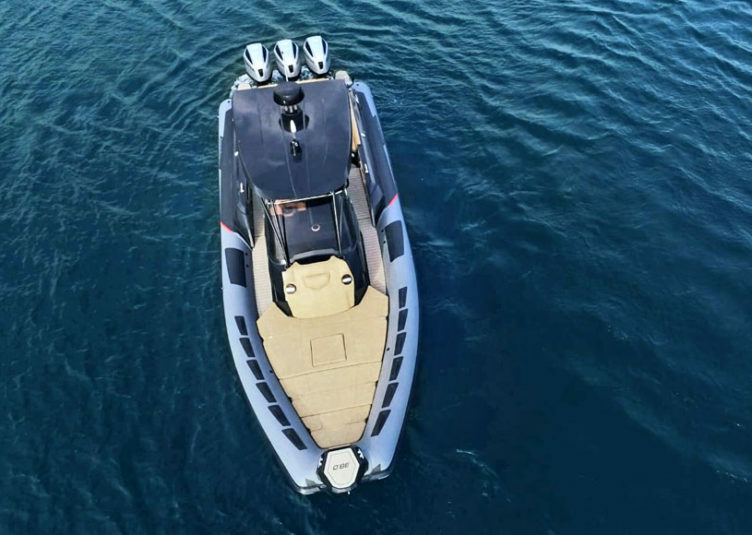 An exclusive feature is the crystal top with UV protection film, while the capote can be customized in size so to easily adapted to any type of boat. 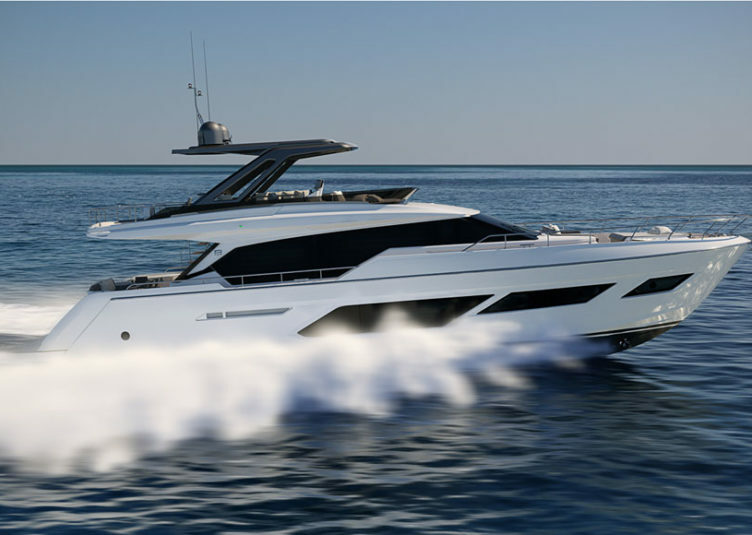 Third and last of the Seatec novelties is the Unica division, designed for superyachts and represented by the SP 602 (also featured in the opening picture). 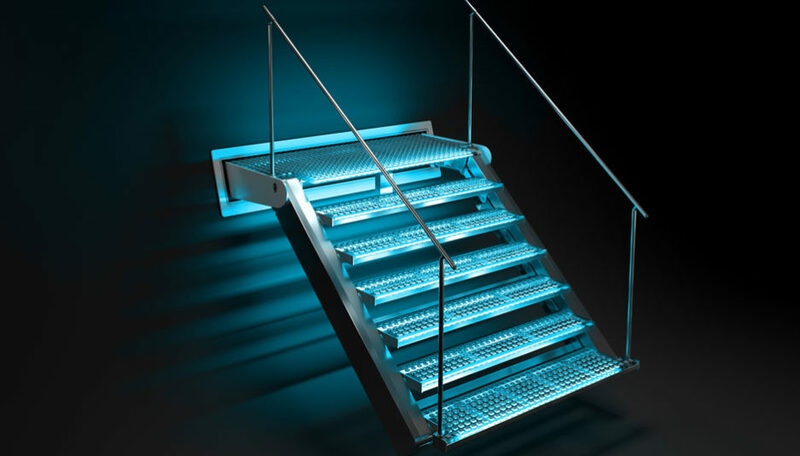 It’s an extremely bright staircase with led lights under the perimeter and below each step, with an additional feature as gangway. 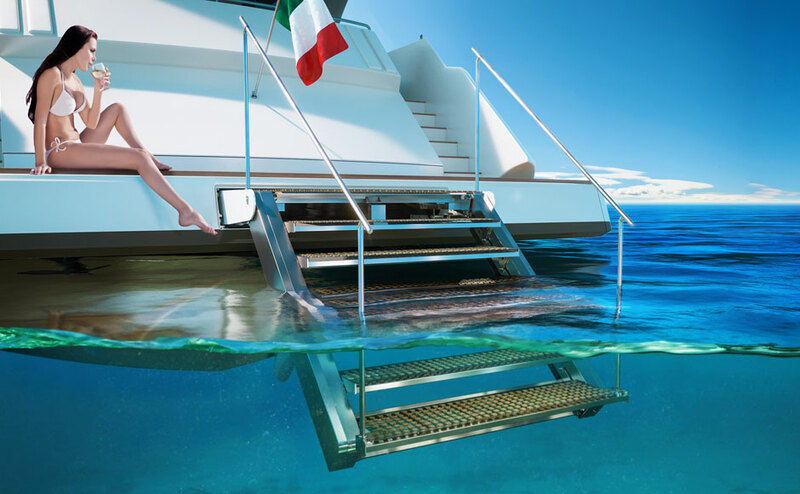 With a painted or mirror-polished stainless steel structure and self-leveling teak-and-plexiglass or crystal steps, this staircase can also be customized according to the installation, including the size of the first step.